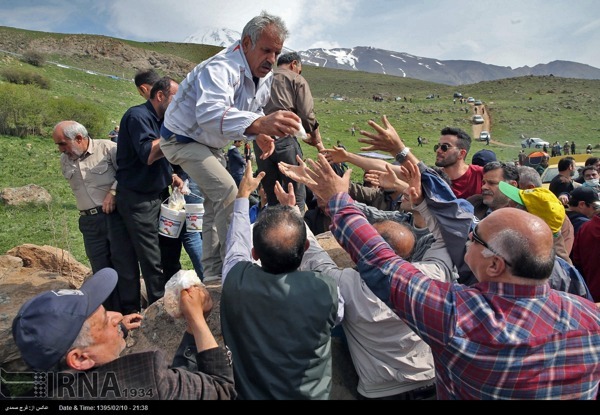 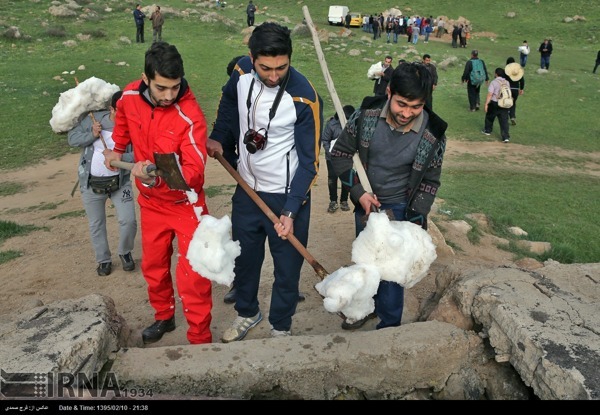 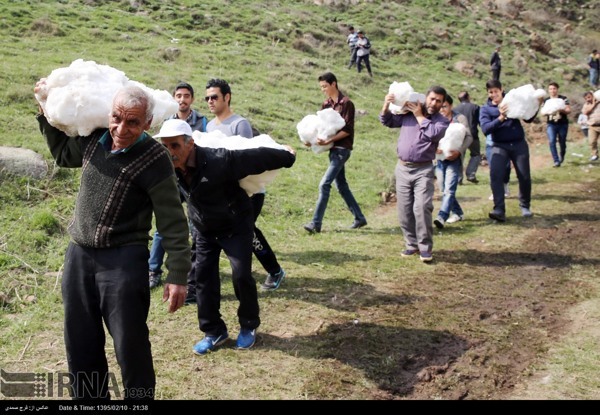 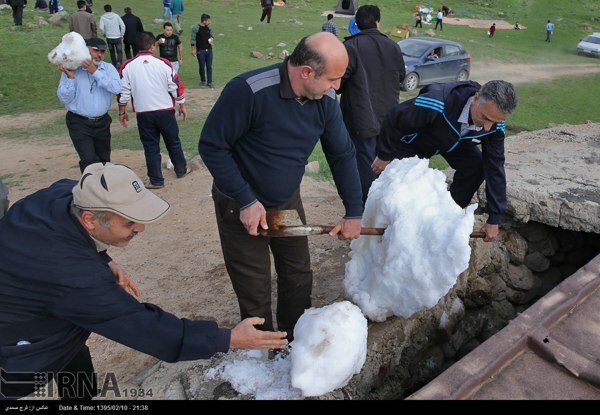 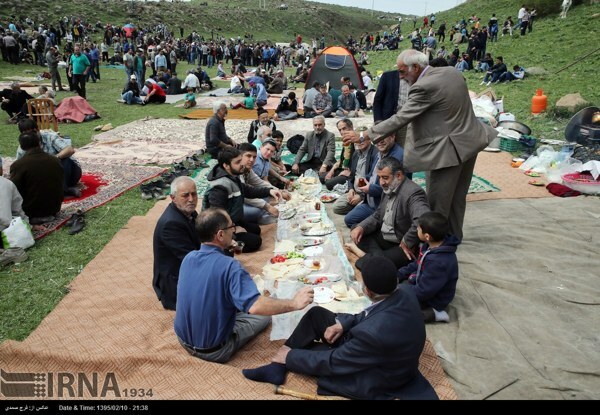 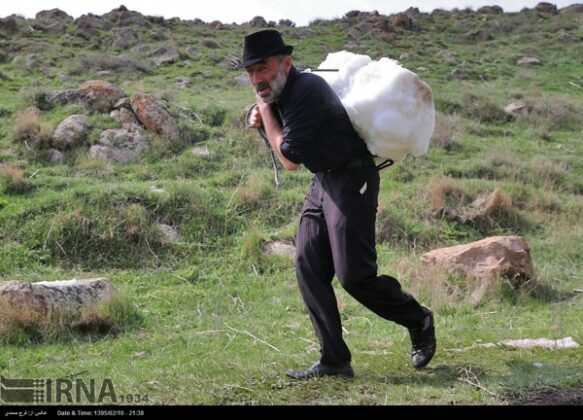 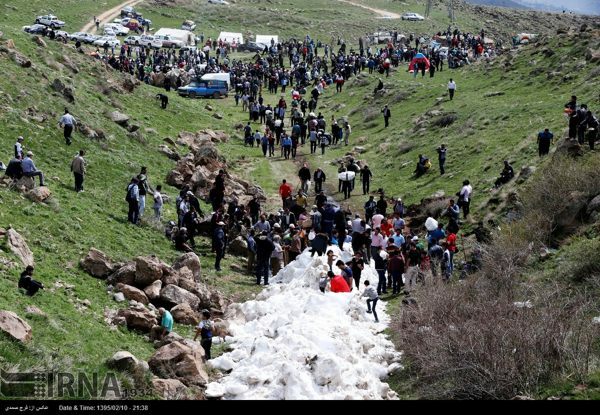 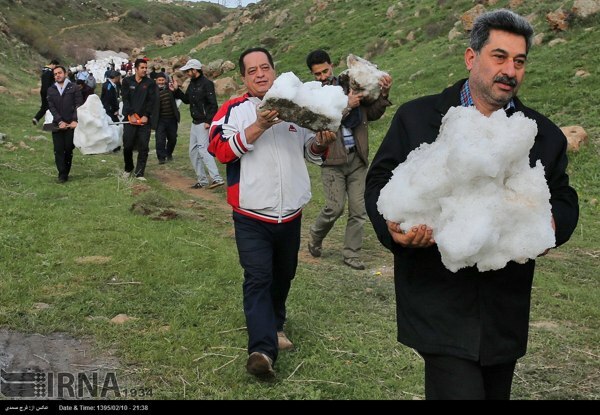 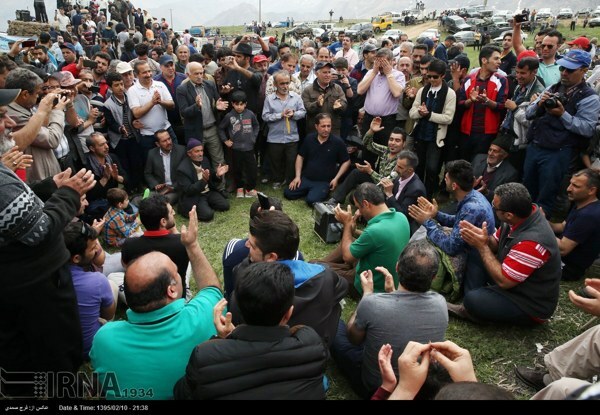 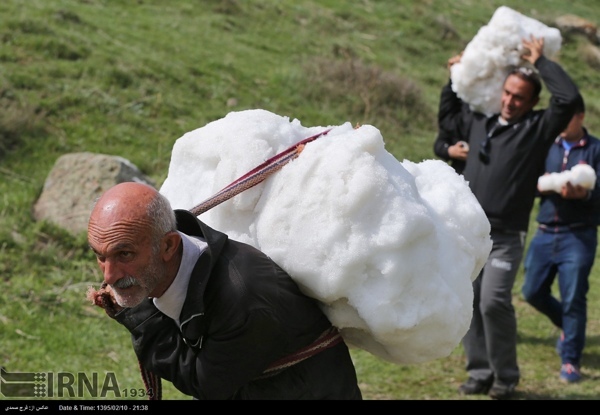 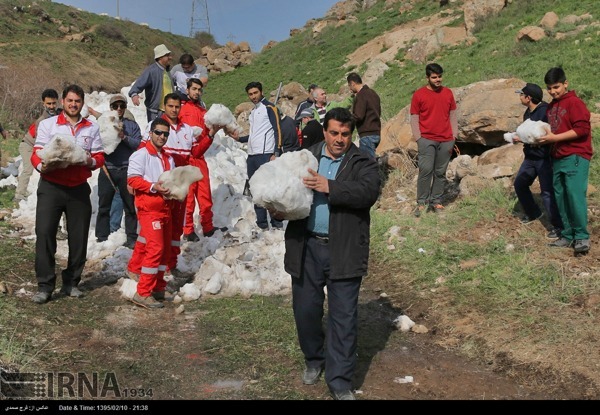 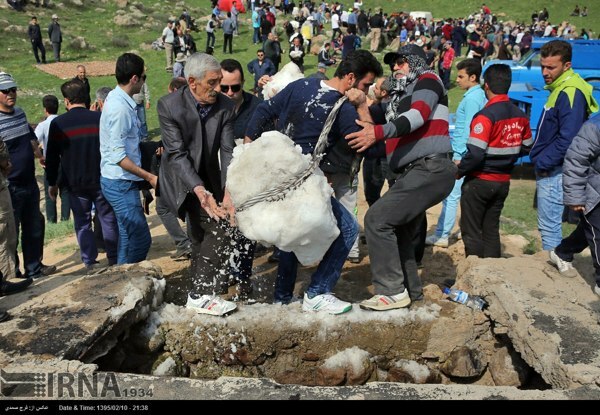 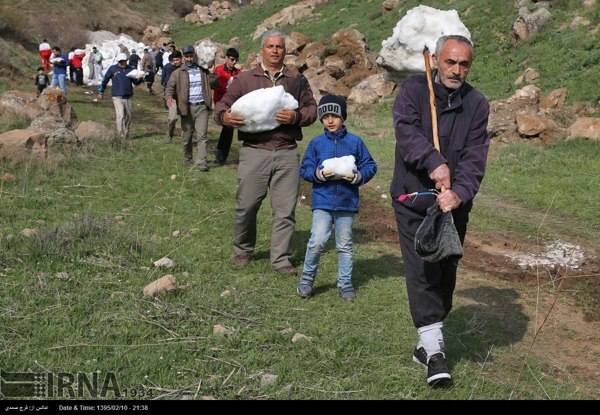 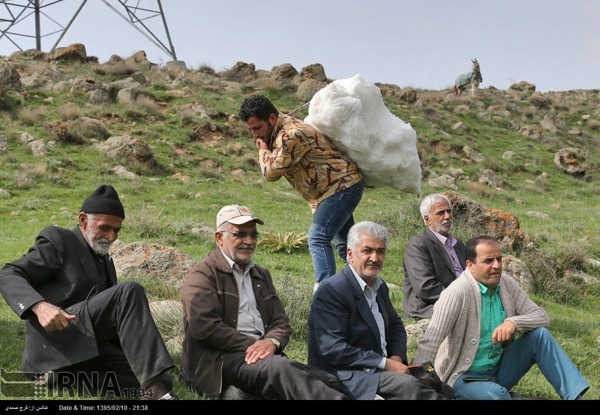 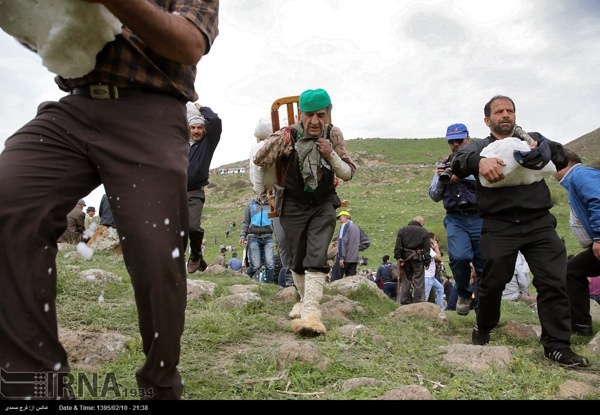 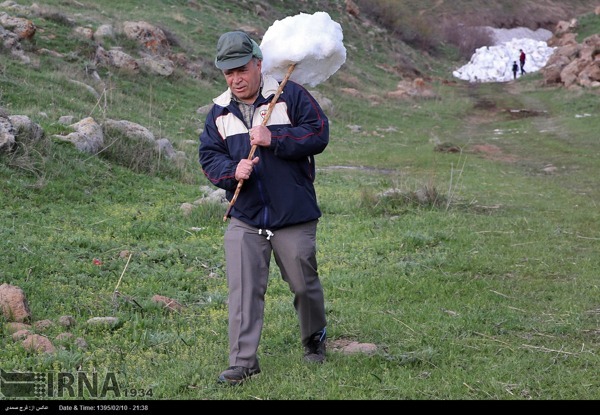 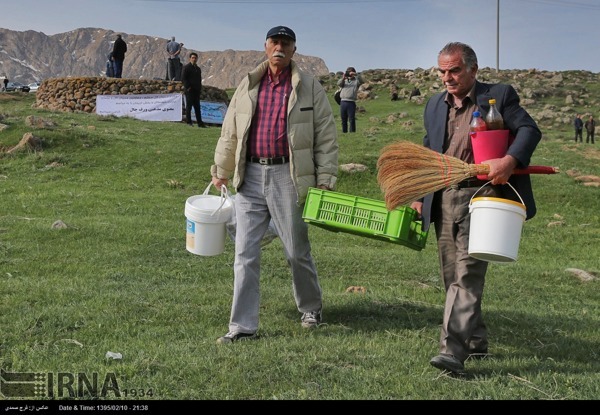 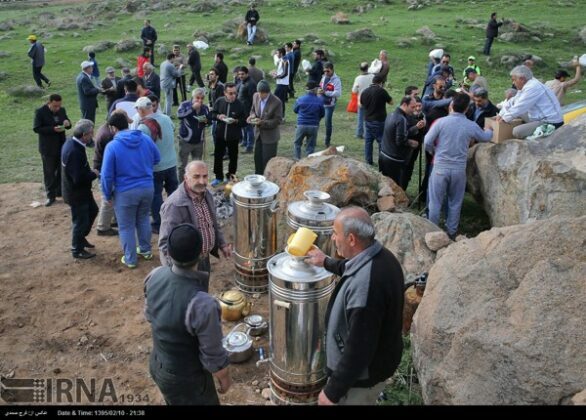 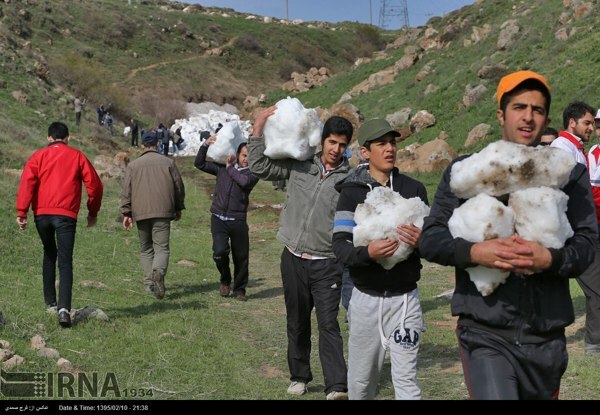 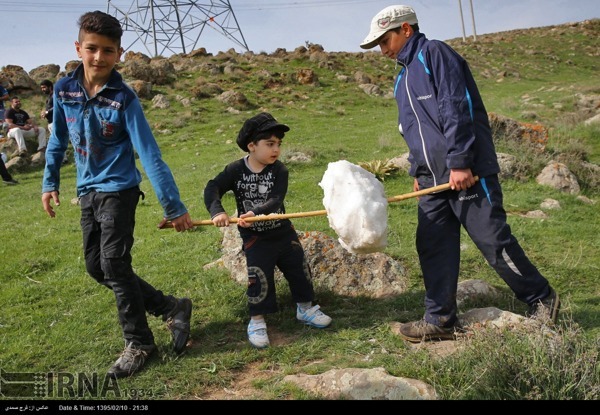 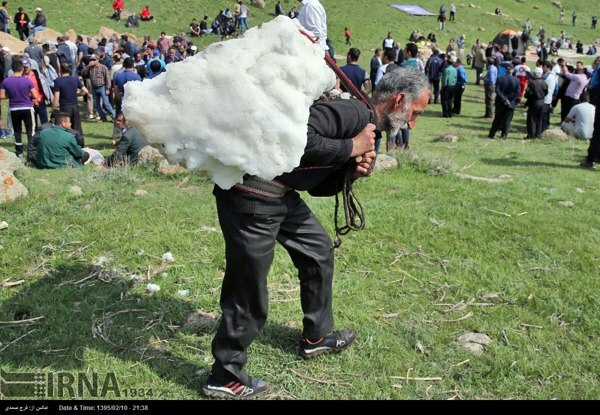 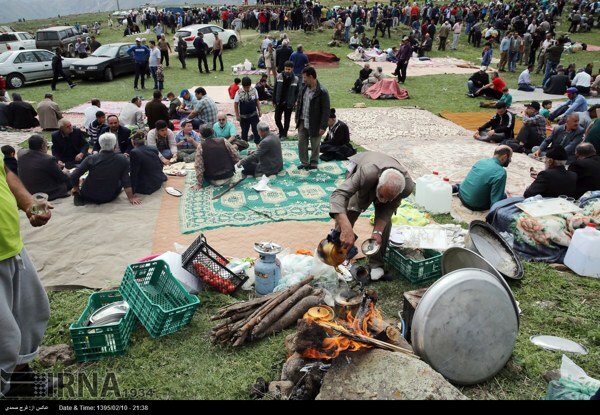 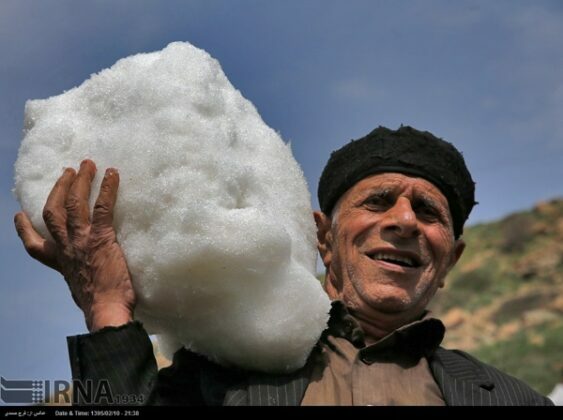 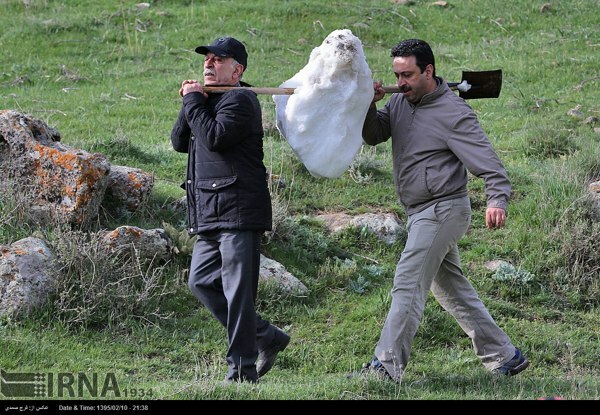 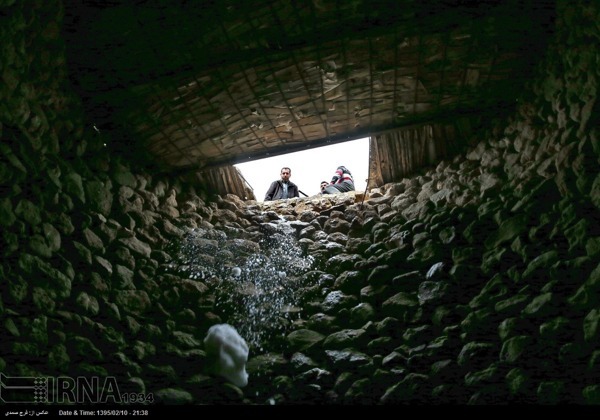 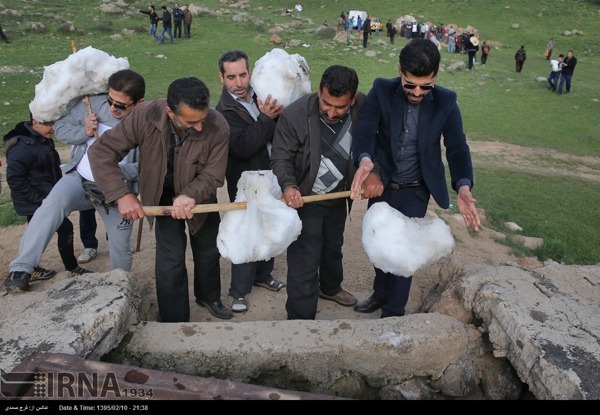 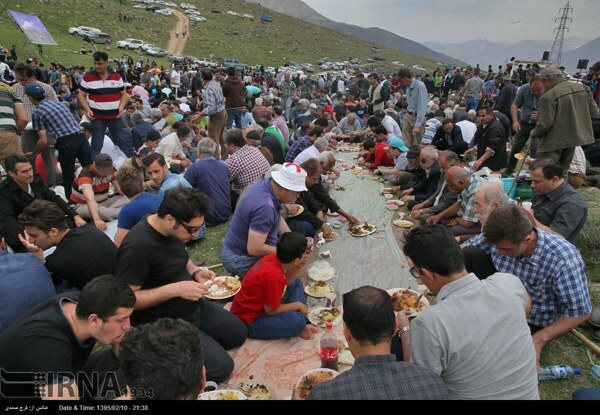 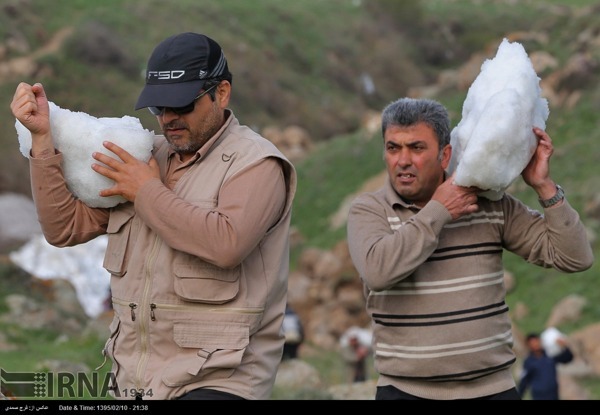 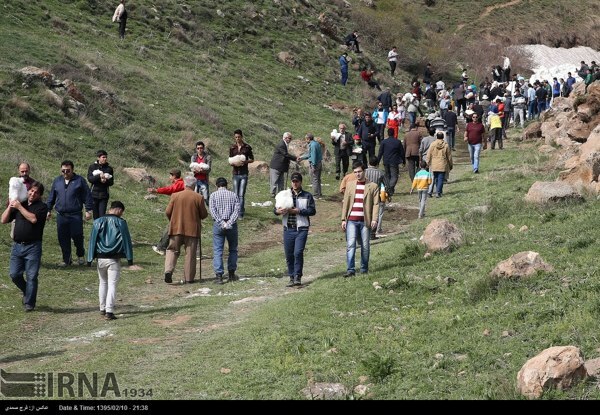 Every spring, people in Ab Ask, a neighbourhood in the city of Amol in the northern province of Mazandaran, host a 600-year-old ceremony called “Varf Chal“, literally translated as “snow storing”. 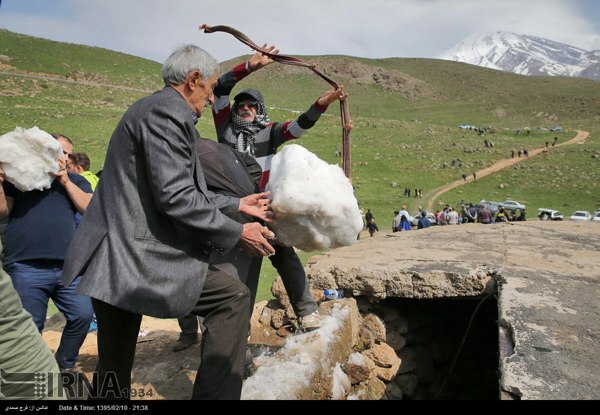 No man is allowed to stay in the village during the ceremony. 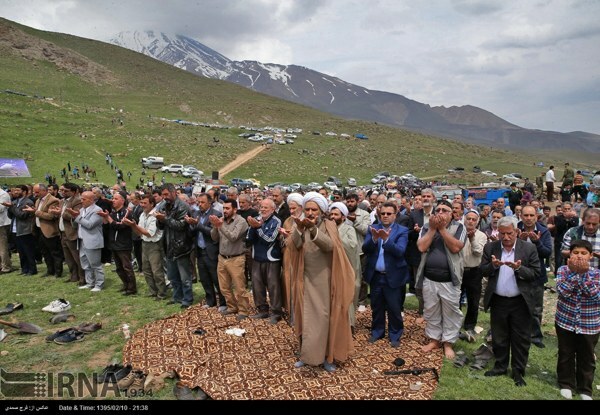 They must all go to Varf Chal. 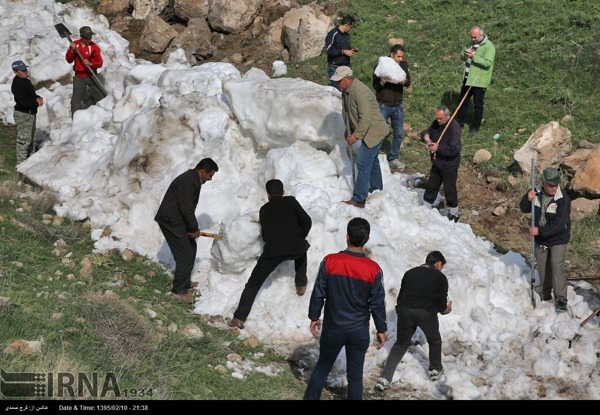 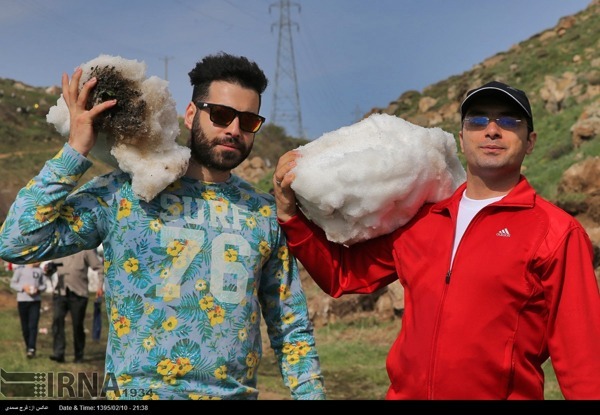 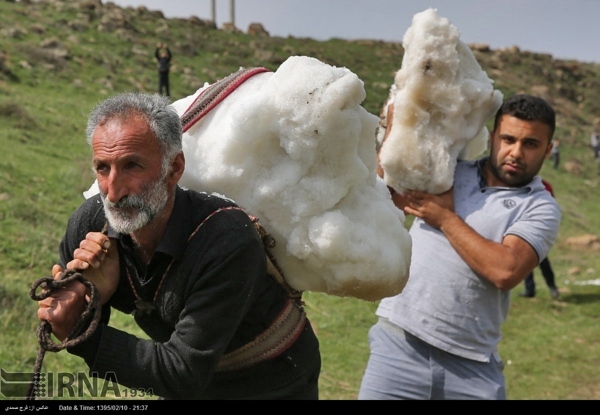 As shown in the photos, they carry pieces of frozen snow left from winter, and put them in a ten-meter-deep, one-meter-wide pit as they believe the snow could provide fresh water for animals and thirsty passers-by after melting in summer.